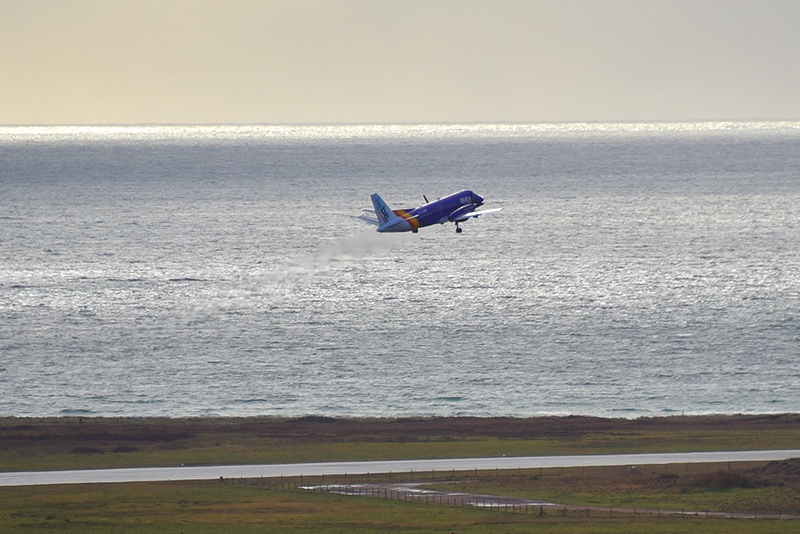 Just after take off from Islay International Airport, the plane to Glasgow is climbing above the runway and soon flying out over Laggan Bay. 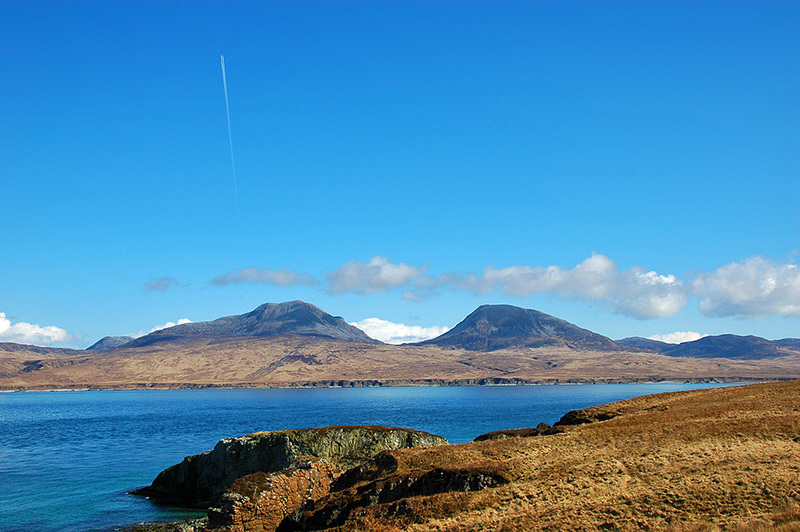 A view across the Sound of Islay towards the Paps of Jura from near Rhuvaal in the far north. High in the sky a plane is passing, flying towards the west, likely destination America. 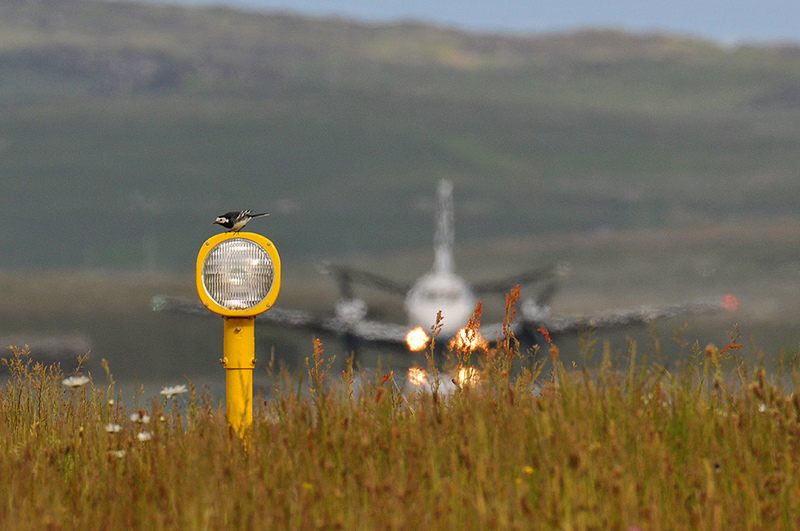 Taking a rest on a landing light, a Pied Wagtail at Islay International Airport. The just landed service plane from Glasgow in the background.